All are welcome to discover who we are and join us in our goal to glorify God as we serve the Orange Beach and Gulf Shores communities. Easter Celebration – He Is Risen! How do we KNOW and how do we SHOW the world that Jesus is risen? Come celebrate the resurrection of our Lord Jesus Christ this Easter Sunday, April 21 @ 10:00am and Pastor Barry will share the answers to these questions. 1 Now after the Sabbath, as the first day of the week began to dawn, Mary Magdalene and the other Mary came to see the tomb. 2 And behold, there was a great earthquake; for an angel of the Lord descended from heaven, and came and rolled back the stone from the door, and sat on it. 3 His countenance was like lightning, and his clothing as white as snow. 4 And the guards shook for fear of him, and became like dead men. 5 But the angel answered and said to the women, “Do not be afraid, for I know that you seek Jesus who was crucified. 6 He is not here; for He is risen, as He said. Come, see the place where the Lord lay. Sunday, April 28, we will continue our study in the Book of Revelation with Part II of our look at Chapter 13. In part I we learned about the Antichrist’s rise to power and deception of the people in the midst of the Great Tribulation. In part II we focus on his right hand man, the False Prophet. Who are this Antichrist and false prophet? How are we to recognize them? Join us for worship at 10:00am as we tackle these difficult questions. The Oasis Worship Team has been working hard all week setting up the equipment, practicing and tweaking our sound system in preparation for our New Worship Center Celebration Service this Sunday, March 24 at 10:00am. Here is a sneak preview from this week’s practice session. We are in year 2 of our Read the Bible in 2 Years Program. We have adopted a reading plan on the Bible App. This year it takes us from Ezra through Malachi in the Old Testament, plus the entire New Testament and Psalms. Simply click HERE or on the icon below and join the 2019 group. If you’d rather have a hard copy to follow, click HERE and download a printable version of the plan. By joining you can stay on track and have optional daily discussions with other members of the group. It’s not too late, just join and pick up where we are now. Worship along with us on Facebook LIVE and the Bible App. Bible Studies for all ages – Wednesdays at 6:30. Stay tuned for information on our New Exciting Summer Bible Studies which begin May 1st. Easter Outreach – VOLUNTEERS NEEDED to help Oasis Church and Orange Beach Community Church host the Easter at the Park Outreach at Orange Beach Waterfront Park on Saturday, April 20th. There will be lots of fun activities for everyone including an Egg Hunt, Face Painting, Crafts, Food and more. If you are interested in volunteering, contact Houston Britt. We also need donations of candy-filled plastic eggs with the seams scotch-taped for the egg hunt. Wednesday Night Fellowship – Wednesday, April 24. 6:30 pm. Join us as we welcome Peggy and the Dandy family as our new Director of Children’s Ministry. Bring a dish for a shared meal. We will also have prayer and announce the New Exciting Summer Bible Studies. Oasis M.A.P. Class – Sunday, April 28, immediately following 10:00am worship. If you are interested in learning more about Oasis Church, it’s purpose and how to become a member, you are welcome to attend our M.A.P Class. Lunch and refreshments will be provided. Appreciation and Information Lunch – Sunday, May 5 following worship. This is for children’s volunteers and those interested in helping with our new children’s ministry. Lunch provided. Please let Peggy know if you can attend. Came and learn how you can make an eternal impact in the life of a child! Lunch and Games in the Park – Sunday May 19. We will gather at Orange Beach Waterfront Park after the worship service for a cook out and games. Hamburgers and hotdogs provided. Bring sides and deserts. Come and fellowship with your church family! See our Calendar of Events for the latest in what’s happening at Oasis Church. Join our 2-Year Bible reading plan. We are drawing to the end of our 2018 Bible Reading Plan. Year 2 begins January 1, 2019. If you wish to Join our group click HERE. 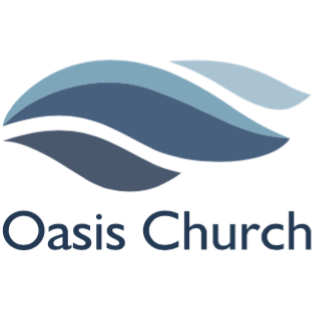 Join our e-mail list HERE for the latest news at Oasis Church. Really enjoyed your services while vacationing in the area. Everyone made us feel so welcome. Always a joy to spend time with fellow brothers and sisters in Christ. We will be praying for your ministry and visit again when in the area. What an amazing community of people! Very warm and welcoming atmosphere. Just what our family needed during our time here in Orange Beach.